Febrero 2014 | 6th GRADE - CLASS OF 2017-2018!! 02/02/2014 19:15 miprimerzarzablog #. 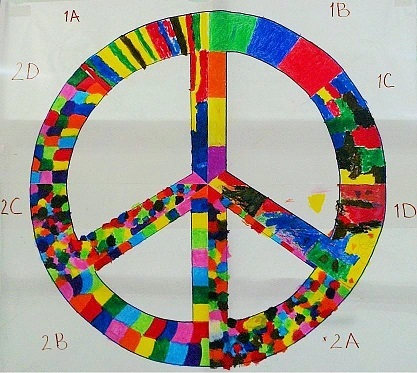 DÍA DE LA PAZ Hay 3 comentarios. 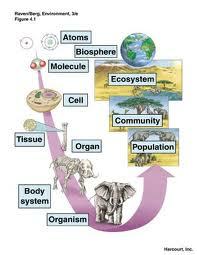 All living organisms on Earth are divided in pieces called cells. There are smaller pieces to cells that include proteins and organelles. There are also larger pieces called tissuesand systems. Cells are small compartments that hold all of the biological equipment necessary to keep an organism alive and successful on Earth. A main purpose of a cell is to organize. Cells hold a variety of pieces and each cell has a different set of functions. It is easier for an organism to grow and survive when cells are present. If you were only made of one cell, you would only be able to grow to a certain size. You don’t find single cells that are as large as a cow. Also, if you were only one cell you couldn’t have anervous system, no muscles for movement, and using the internet would be out of the question. The trillions of cells in your body make your life possible. There are many types of cells. In biology class, you will usually work with plant-like cells and animal-like cells. We say animal-like because an animal type of cell could be anything from a tinymicroorganism to a nerve cell in your brain. 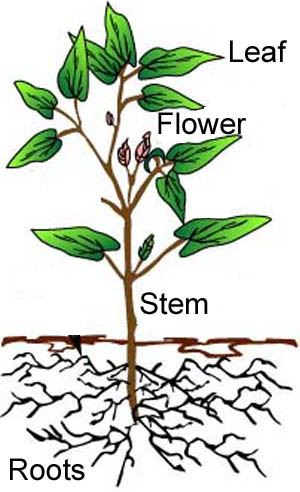 Plant cells are easier to identify because they have a protective structure called a cell wall made of cellulose. Plants have the wall; animals do not. Plants also have organelles like the chloroplast (the things that make them green) or large water-filled vacuoles. We said that there are many types of cells. Cells are unique to each type of organism. Humans may have hundreds of types of cells. Some cells are used to carry oxygen (O2) through the blood (red blood cells) and others might be specific to the heart. If you look at very simple organisms, you will discover cells that have no defined nucleus (prokaryotes) and other cells that have hundreds of nuclei (multinucleated). The thing they all have in common is that they are compartments surrounded by some type of membrane. The cell nucleus acts like the brain of the cell. It helps control eating, movement, and reproduction. If it happens in a cell, chances are the nucleus knows about it. The nucleus is not always in the center of the cell. It will be a big dark spot somewhere in the middle of all of the cytoplasm (cytosol). You probably won’t find it near the edge of a cell because that might be a dangerous place for the nucleus to be. If you don’t remember, the cytoplasm is the fluid that fills cells. 03/02/2014 23:53 miprimerzarzablog #. SOCIAL AND NATURAL SCIENCE No hay comentarios. Comentar. Click on the link to see the hierarchy of life organization, from cells to biosphere. 04/02/2014 14:06 miprimerzarzablog #. SOCIAL AND NATURAL SCIENCE Hay 1 comentario. "Will" often suggests that a speaker will do something voluntarily. A voluntary action is one the speaker offers to do for someone else. Often, we use "will" to respond to someone else’s complaint or request for help. We also use "will" when we request that someone help us or volunteer to do something for us. Similarly, we use "will not" or "won’t" when we refuse to voluntarily do something. I won’t do all the housework myself! B: I’ll make some sandwiches. A: I’m so tired. I’m about to fall asleep. B: I’ll get you some coffee. Don’t worry, I’ll be careful. I’m going to be an actor when I grow up. A: Who is going to make John’s birthday cake? B: Sue is going to make John’s birthday cake. You are not watching TV. Use the Present Continuous to express the idea that something is happening now, at this very moment. It can also be used to show that something is not happening now. You are learning English now. You are not swimming now. Is he sitting or standing? They are reading their books. They are not watching television. Why aren’t you doing your homework? In English, "now" can mean: this second, today, this month, this year, this century, and so on. Sometimes, we use the Present Continuous to say that we are in the process of doing a longer action which is in progress; however, we might not be doing it at this exact second. I am studying to become a doctor. I am reading the book Tom Sawyer. I am not reading any books right now. Are you working on any special projects at work? Aren’t you teaching at the university now? Sometimes, speakers use the Present Continuous to indicate that something will or will not happen in the near future. I am meeting some friends after work. Is he visiting his parents next weekend? Isn’t he coming with us tonight? 05/02/2014 21:50 miprimerzarzablog #. ENGLISH Hay 1 comentario. Characteristics: All living things in this kingdom are unicellular organisms. Characteristics: The living things in this kingdom can be unicellular or multicellular. Examples: Unicellular organisms -> Protozoans: most of them are acquatic. Multicellular organisms -> Algae: make their own food and use the energy from the sun to perform photosynthesis. Characteristics: The members of this kingdom can be unicellular or multicellular. Most of them take nutrients from the remains of plants and animals. They are decomposers. Examples: Unicellular organisms -> Yeast. 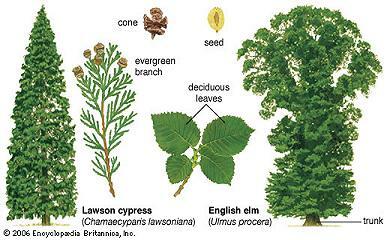 Characteristics: All plants are multicellular organisms. They make their own food and use the energy from the sun to perform photosynthesis. They don’t move. Characteristics: All animals are multicellular organisms. They are the most numerous group of living things. They can’t make their own food but they eat plants and other animals. Almost all animals can move around. 10/02/2014 11:08 miprimerzarzablog #. SOCIAL AND NATURAL SCIENCE No hay comentarios. Comentar. Click on the picture to learn a bit more about the book. 10/02/2014 12:57 miprimerzarzablog #. ENGLISH No hay comentarios. Comentar. What are the three basic life processes? Do all living things reproduce in the same way? How do people interact with their environment? What basic life process are we performing when we breathe? Are cells living things? How do we know? Have animal cells got a cell wall? According to the number of cells, what type of organisms exist? What type of organisms are bacteria? What are the main parts of the cell? What does a cell’s nucleus do? How many levels of life organization have we studied? Name them in order. What do we call similar tissues that work together to perform a function? In how many groups can we classify living things? 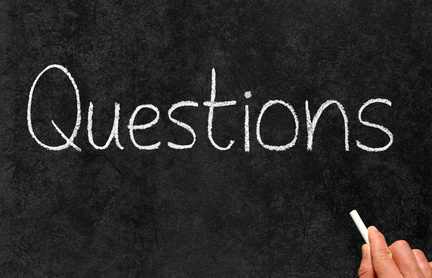 What kingdom has only got unicellular organisms? Where do protozoans usually live? How are plants and algae alike? Which kingdom is mainly formed by decomposers? What are the names of some members of the Fungus Kingdom? 11/02/2014 12:36 miprimerzarzablog #. SOCIAL AND NATURAL SCIENCE Hay 4 comentarios. What a yummy cake I've made!!!!!! Every February we celebrate Valentine’s Day by giving flowers, candy and cards to those we love. We do this in honor of Saint Valentine. You may be wondering, "Who is St. Valentine"? Time to brush up on your Valentine’s history! The Roman Emperor Claudius II was fighting many wars. He wanted a strong army, but many men did not want to be soldiers. Claudius thought the men wanted to stay home to be with their wives and children instead of leaving to fight wars. Claudius thought of an awful solution to his problem. He decided to cancel all marriages! No one in all of Rome could get married. Claudius thought that if the men couldn’t get married, the men would ignore the women and want to be soldiers. Valentine, who was a priest, believed that people needed to get married. He thought that if they were not married, they would be tempted to sin by living together without being married. So he secretly and illegally married couples anyway! He performed the weddings in secret places, so the Roman soldiers would not find out. But they did find out. Valentine was arrested and brought before the Emperor. The Emperor thought Valentine was a well spoken and wise young man, and encouraged him to stop being a Christian and become a loyal Roman. Valentine would not deny his beliefs, and he refused. He was sent to prison until he could be executed. While he was in prison, he sent out letters to his friends and asked to be prayed for by writing Remember your Valentine. Valentine was killed on the 14th of February in the year 269 or 270. 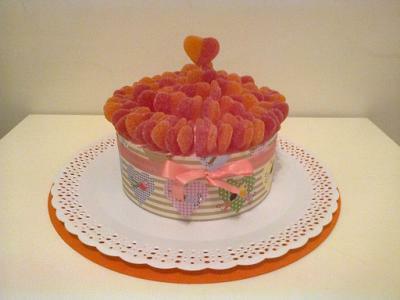 We celebrate Valentine’s Day on February 14th in honor of St. Valentine. Check out the History of Valentine’s Day and other ideas for Valentine’s Day, including creative Valentine cards, Valentine party games, and many more fun activities. 14/02/2014 00:01 miprimerzarzablog #. FESTIVALS Hay 2 comentarios. 14/02/2014 10:42 miprimerzarzablog #. ENGLISH Hay 7 comentarios. Do you want to check the chart we’ve copied in class? 18/02/2014 14:06 miprimerzarzablog #. SOCIAL AND NATURAL SCIENCE Hay 1 comentario. 2) You are certain that sth. is going to happen in the future. I am going to play handball. I’m going to play handball. You are going to play handball. You’re going to play handball. I am not going to play handball. I’m not going to play handball. You are not going to play handball. You’re not going to play handball. You aren’t going to play handball. Am I going to play handball? Do not mix up with the Present Continuous! He’s going to read the book. 21/02/2014 11:17 miprimerzarzablog #. ENGLISH No hay comentarios. Comentar. 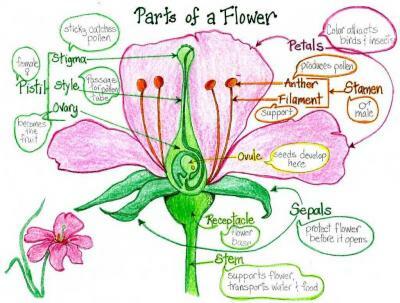 Click here to see the chart of the parts of plants. 26/02/2014 09:20 miprimerzarzablog #. SOCIAL AND NATURAL SCIENCE No hay comentarios. Comentar. 26/02/2014 12:18 miprimerzarzablog #. SOCIAL AND NATURAL SCIENCE Hay 6 comentarios.